Comic Book Resources has reported Stephen Amell’s latest cryptic tweet. Amell showed off new clothes for himself, Grant Gustin ( The Flash) and most notably Tyler Hoechlin in a new black Superman costume. All three actors on the same set ensures its from one of the three night Elseworlds crossover episodes, most likely Arrow. 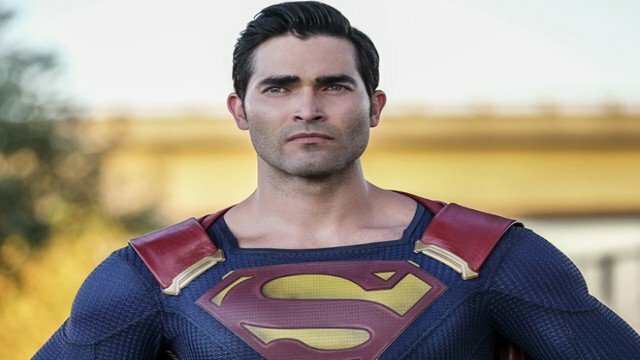 Superman’s black costume has great significance in DC Comics’ history, and it is currently unknown which direction the three night Arrowverse crossover will take. Superman wore a black costume after his infamous death in his first battle with Doomsday. Four other heroes inspired by Superman rose to took his place until the one true Man of Steel was back. Superman’s black suit was accompanied by his longer hair, which Hoechlin does not appear to have. This new suit is not just cosmetic. It absorbs more energy from Earth’s yellow sun and it helps heal Superman from his many injuries. The need for the costume also suggests that Superman is not at full power. This Elseworlds crossover with a weaker Superman could require him to rely on Flash, Supergirl and others to be stronger. Another possibility is that this version of Superman is based on the one from the Flashpoint comic. The Arrowverse shows have already explored the consequences of Barry Allen creating alternate timelines. The concept of Elseworlds could show the original timeline or a new option. Flashpoint’s Superman didn’t land in Kansas, instead his ship crashed into Metropolis where he was raised in isolation by a government that wanted to weaponize him. Superboy Prime from the pre-Crisis continuity also wore a black suit when he fully embraced his evil impulses. The Flash has teased an upcoming Crisis from the beginning of the show. In the future, Iris West Allen reports Flash disappears during a Crisis. One is on the horizon the only question is when. Even if the crossover doesn’t touch on that plotline, it should still be a massive story for all three shows. What do you think about Superman’s black suit? Let us know in the comment section below!